Every program starts with a Complimentary Consultation to explore where you are and where you want to go on your fitness journey. Using the information from your consultation, a specialized program will be created to meet all your goals. How often you train and for how long at each session will be determined by your goals and how quickly you want to achieve them. "Innovative Physical Fitness with a Personal Touch" means all the best fitness techniques are being applied to your program with your specific goals in mind while training in a TRULY judge-free, private environment built around YOUR needs. Hello! My name is Lyndsay Hogan, owner/health and fitness coach of Motivated Mind & Body. 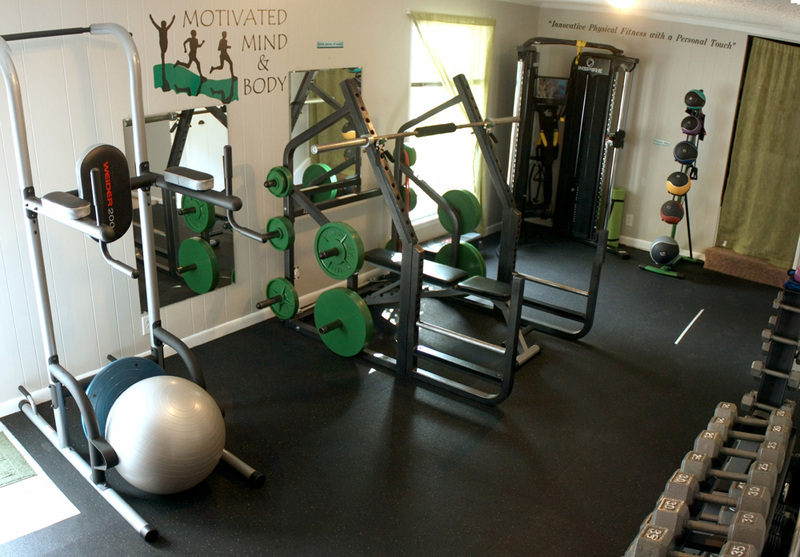 Your new, private fitness training destination! My goal as a fitness professional is to use my 6 years of experience in nutrition and specific program design to help my clients achieve health and fitness goals they never imagined possible. I believe a customized exercise and nutrition program with a good support team is the right path for success. I have helped clients of all ages and fitness levels lose weight, get fit and healthy, and relieve pain with my specialized programs. I teach my clients how to achieve and maintain their results by being their lifeline for a healthy way of life. I am always available to answer questions and to find solutions to life's obstacles by working as a team with my clients. I understand how difficult it can be to make the necessary life changes you need on your own. Let me provide the support, motivation, and education you need to SUCCEED! Follow us on Facebook for videos, success stories, and motivation!